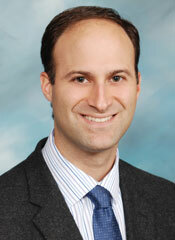 Dr. Andrew Kouvaris is a native of San Jose where he attended Lynbrook High School and Santa Clara University. He studied at the University of the Pacific School of Dentistry where he earned his Doctor of Dental Surgery (DDS) degree and was named his class Valedictorian. He next entered the graduate program to study orthodontics, and received a Masters of Science in Dentistry (MSD) and a certificate of specialization in orthodontics. Dr. Kouvaris is also a diplomate of the American Board of Orthodontics. In addition to his practice, Dr. Kouvaris maintains a position as associate clinical professor of Orthodontics at the University of the Pacific, and is an active member of the American Dental Association, California Dental Association, American Association of Orthodontists, and the Santa Clara County Dental Society. Dr. Kouvaris is committed to the most advanced treatment techniques and concepts and is highly active in continuing education courses to bring the best that orthodontic treatment can offer to his patients. Dr. Kouvaris enjoys all sports and especially has a passion for baseball. In his free time, he likes traveling with his wife, Erin, and spending time with his family and friends. "What can I say... I love Dr. K and the staff! I just got my braces off a couple of weeks ago and I still cant stop smiling!!! The staff here is sooooo awesome, nice, sweet and funny." --Fabi H.
"Well, after only 9 months, my son left Dr. Kouvaris's office with a beautiful PERFECT smile. He even went the extra mile to get his retainers prepared the same day. I got a call at 7 pm letting me know his retainers were ready and he would wait at the office if we could come by and pick them up! Who does that anymore? Dr. Kouvaris and his staff are the perfect example of how to operate a successful practice...he cares about his patients as individuals, not as a number and realizes their time is valuable!" --Jen H.
"He really cares about his patients. He provides great customer service and knows how to take care of you and your teeth." --George K.
"I love that he takes the time to answer your questions and explains if necessary. I have recommended people to the practice and will continue to do so!" --Iria W.
"I highly recommend Dr. Kouvaris and his staff. They are great professionals that cater to the needs of their patients. Knowledgeable, results-oriented, friendly, accommodating, clean practice." --Kim N.
"My 8 yr old daughter went to him for correcting her teeth. Great attitude, no sales pressure of unnecessary products, warm smiles and peaceful environments." -- Hariprasad H.
"Dr. Kouvaris is an extremely intelligent and personable doctor, that understands the results you want, and is honest and up front on whether or not he can help you. He literally treats all of his patients like family, and recommends treatment accordingly." --Erin S.
"Dr. Kouvaris is a very talented and patient Orthodontist. I had the crookedest teeth of anyone I knew and now my teeth are perfect. I experienced very little pain and no frustration during my two year process. Everyone at the office is extremely friendly and nice. I have only had good experiences in my 10-15 visits in my two years." --Dan H.
"Dr. Kouvaris is great--very knowledgeable, and willing to sit down and really explain what treatment will entail, without talking down to you or using a bunch of technical terms. I felt very comfortable with him. His staff is also great--very friendly and efficient. His assistant ran my insurance information to see what it would cover without me even having to ask." --Lauren W.